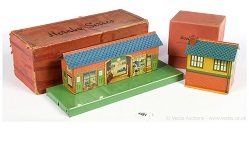 Vectis was established in 1988 and sell toys in many categories, including Trains, Tinplate, Constructional Toys, Railwayana and Books. All auctions are room sales and all are held live on-line reaching collectors worldwide. Click on the photo's above to enter the on-line catalogue. 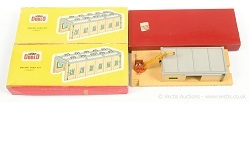 The Vectis auctions also have the past auctions on-line in their archive to see what prices were realised. HRCA 50th Anniversary Meeting In 2019 the HRCA will marking its 50th anniversary with a very special two day event to be at held in the Warwick Hall at Stonely. This will attract devotees from all corners of the globe to see, play and talk about their beloved Hornby trains. They will celebrate a period dating from about 1920 when they were first conceived, to the early 1960's, during which time they were at first available as the large 0 gauge models and later as the smaller 00 gauge version, branded as Hornby Dublo. Some members of the Dutch HRCA will be present. Aston's Auctioneers and Valuers is a family-run auction house and is a specialist auctioneer of collectable toys and models in the UK. 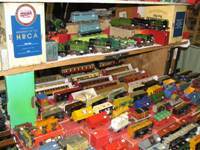 They hold one large auction of Toys, Antiques and Collectables every month featuring Hornby O-gauge and Dublo. Holland's biggest Modelspoor event predominantly caters for the modern H0/00 crowd, but also with larger scales and tinplate. About 500 stalls, with members of the Dutch HRCA present. The event is held at the Euretco Centre in Houten. So anybody visiting Holland would do well to visit this fine event and meet some of the Dutch HRCA members. Use the contact link (above at right) for general enquiries. 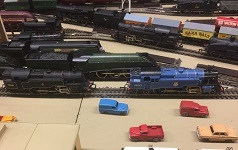 The Lacy Scott and Knight toy train auctions encompass all areas of collecting including steam, O-gauge and OO-gauge railway, diecast models by Corgi, Dinky, Matchbox, Spot-On, European manufacturers as well as Tinplate Toys. The Lacy Scott and Knight Auctions also have the past auctions on-line in their archive to see what prices were realised. Some members of the Dutch HRCA will be visiting this great Barry Potter fairs event with 500 Stalls of Collectable Toys. The quality and variety of collectables on offer is breathtaking, with tables of toys and models for sale. Visitors and exhibitors travel from all over the UK and Europe to visit each event. The fair is held at the Sandown Park race course in Esher. 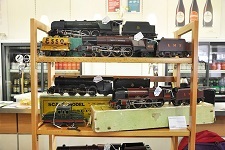 Special Auction Services will have the Toys for the Collector auctions which contain a large and diverse selection of toys often including Hornby and other vintage toy trains. 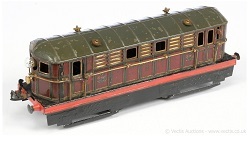 The December auction is the famous Trains Galore which ran for 20 years at Christie's. 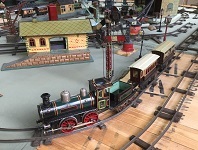 Toovey's conduct quarterly sales of Toys, Dolls and Games that offer a good selection of die-cast toys and figures, model trains and railways, tinplate and mechanical toys, dolls and soft toys. 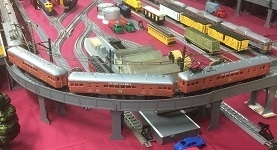 Hornby 0-gauge and Dublo are regularly included in these auctions. Toovey's auctions have the past auctions on-line in their archive to see what prices were realised. 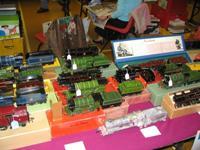 The Train Collectors Society Summer Show will be held near Aylesbury Buckinghamshire at the Stoke Mandeville Stadium. Doors open at 10:30. More then 30 model railway layouts and plenty of trade stands. Refreshments available. The UK Toy and Model auction was formed in the mid 1990s by Barry Stockton and Tony Oakes, enthusiasts with many years experience in the field of toy and model collecting. 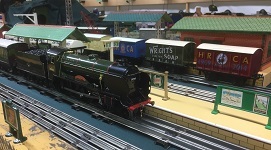 Reading Vintage Toy Train Fair The Reading Toyfair is held at the Rivermead Leisure Centre in Reading. The show always is a feast of Hornby with a vast number of major dealers and many lesser-known ones. 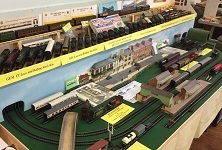 The 200 tables are complemented by numerous working and static exhibition displays, including Hornby 0-gauge, Hornby Dublo and Meccano. 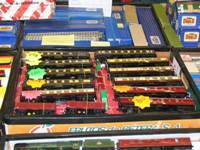 The Train Collectors Society Autumn Event will take place at the Trinity Methodist Church Hall in Leicester. Doors open at 10:00. Model railway layouts and plenty of trade stands. Refreshments available.